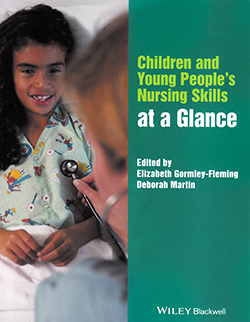 This textbook explains the skills needed by nurses who care for children and young people. It also provides the theoretical underpinning for these skills and an outline of clinical decision-making in nursing care. It also covers the principles of assessing children and the use of objective data through to end of life care. The book’s 16 sections are divided into subsections that follow logically on from each other. At the end of each section there is a key point that summaries the important parts of each section. The book is easy to read and uses diagrams, pictures or charts to support what is being explained. This textbook would benefit any nursing student, but would also be a valuable reference book for nurses caring for children and young people. It would also be an excellent reference textbook for children’s wards and hospital libraries. Family involvement: are we asking too much?